Symeon C. Symeonides received his first two law degrees (in private and public law) from the University of Thessaloniki in Greece, and the next two (LLM and SJD) from Harvard. He also holds two honorary Doctor of Laws degrees and a PhD. He joined Willamette in 1999 as Dean of the College of Law and served in that capacity until 2011. Previously, he taught at the University of Thessaloniki (1976-78), and Louisiana State University, where he was the Judge Albert Tate Professor of Law (1987) and vice chancellor (1991-97). He also taught at the universities of Paris-I (Sorbonne), Paris-V (Descartes), Aix-en-Provence, Louvain-la-Neuve, NYU, Tulane, and Loyola, and lectured at The Hague Academy of International Law and more than fifty European and American universities. 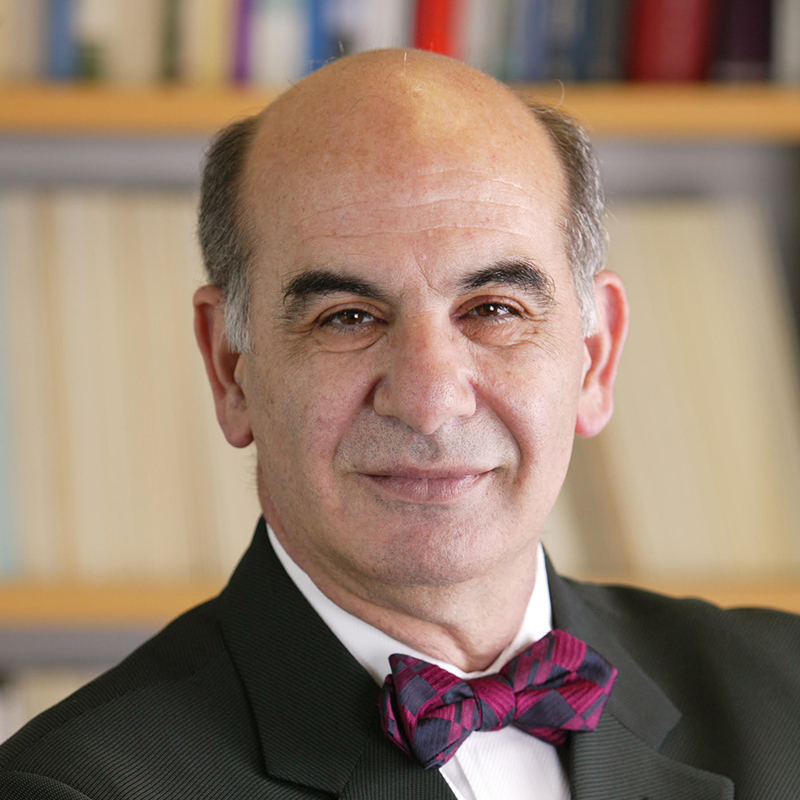 His scholarly work has been honored with: the Friedrich K. Juenger Prize (2002); the Robert L. Misner Award (2012, 2016); the Courtland H. Peterson Senior Scholar Prize (2013); a Certificate of Merit by the American Society of International Law (2015); a Lifetime Achievement Award by the American Society of Comparative Law (2015); the publication of A Tribute to Symeon C. Symeonides, 60 La. L. Rev. 1035-1399 (2000); and resolutions of appreciation by the AALS Section of Conflict of Laws (for his “enormously influential” and “extraordinarily helpful” publications (1998)); the Asociación Americana de Derecho Internacional Privado (for “his outstanding career and his exceptional contribution to the advancement of private international law” (2010)); and the Academia Mexicana de Derecho Privado y Comparado, which named its 34th national congress in his honor. Symeonides is president of the International Association of Legal Science, past president of the American Society of Comparative Law and the AALS Section of Conflicts of Laws, titular member of the International Academy of Comparative Law, life member of the American Law Institute and the Groupe Européen de Droit International Privé, member of Phi Beta Kappa and the Order of the Coif, associate member of the Institut de Droit International, and fellow of the European Law Institute. Symeonides is active in law reform. He drafted the Louisiana codification on Conflict of Laws, the Oregon codification for tort conflicts, and a draft Code of Private International Law for Puerto Rico. He spent six months in Brussels, chairing five working groups drafting new laws for the European Union and represented the Presidency of the EU council in negotiating an international convention. He currently serves on an Experts’ Group and a Working Group drafting another convention under the auspices of The Hague Conference on Private International Law, and as an Adviser for the Third Restatement on Conflict of Laws for the ALI. He also provided legislative advice to the EU Parliament and the governments of Cyprus, Estonia, Russia, and Tunisia. His teaching subjects include Conflict of Laws, Comparative Law, and International Litigation & Arbitration. Symeonides, Symeon. Private International Law: Idealism, Pragmatism, Eclecticism (The Hague Academy of International Law, Brill-Nijhoff, 2017). Symeonides, Symeon. Oxford Commentaries on American Law: Choice of Law (Oxford University Press, 2016). Symeonides, Symeon. Private International Law: United States of America (International Encyclopaedia of Laws, Kluwer Law International, 2015). Symeonides, Symeon. Torts and Conflict of Laws, in Comparative Tort Law: Global Perspectives, (Bussani and Sebok, eds.) (Elgar Publishers, 2015). Symeonides, Symeon. Choice of Law in the American Courts in 2016: Thirtieth Annual Survey, 65 Am. J. Comp. L. (forthcoming 2017). Symeonides, Symeon. Choice of Law in the American Courts in 2015: Twenty-Ninth Annual Survey, 64 Am. J. Comp. L. (2016). Symeonides, Symeon. Civilian Statutes and Judicial Discretion, 76 La. L. Rev. 1125 (2016). Symeonides, Symeon. The Choice-of-Law Revolution Fifty Years After Currie: An End and a Beginning, 2015 U. Ill. L. Rev. 1847 (2015). Symeonides, Symeon. Choice of Law in the American Courts in 2014: Twenty-Eighth Annual Survey, 63 Am. J. Comp. L. 299 (2015). Symeon Symeonides — Robert L. Misner Award for Law Faculty Scholarship, 2016. Symeon Symeonides “Certificate of Merit” awarded by the American Society of International Law for the book Codifying Choice of Law Around the World: An International Comparative Analysis (Oxford UP, 2014) (2015). Symeon Symeonides Lifetime Achievement Award, American Society of Comparative Law (2015).